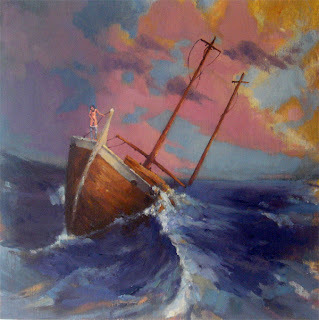 I have a very wild imagination, last night I imagined myself on a ship, and after a long struggle from a sudden storm. The ship made its way into the sea, sinking rapidly. I managed to grab a wood lodge..and...my Survival Kit :) , and struggled my way swimming till I reached a remote island, with no man or any sign or human life on it!